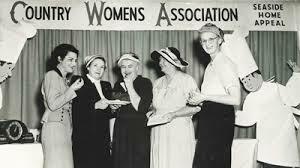 Whilst I’m not a big sponge fan, I do have a high regard for the CWA (Country Womens Association). And the reason being, which is so well explained by Noela McLeod. “If someone comes to the table and you produce a cup of tea, they are going to stay. And if you give them something to eat, they will stay longer. The kitchen table is where all of the troubles are worked out. Neighbours’ disputes, financial problems, personal issues. And you know what? Men love a sponge cake, it’s not too sweet,” she explains with a warm smile.